This was an easy historic photo to locate and re-photograph! 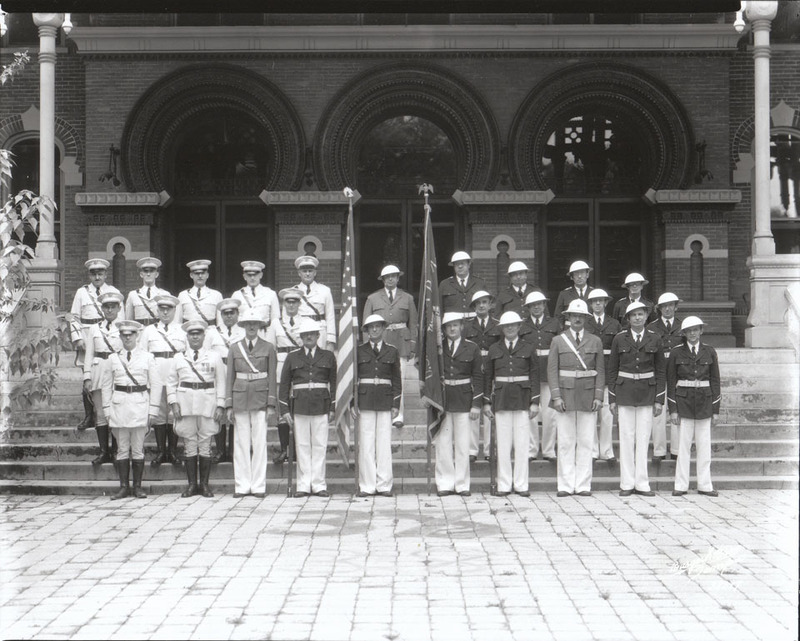 It is of the American Legion color guard on steps of the University of Tampa. It looks like the only things that have changed are the lack of screen doors, newer hand rails, a pruned tree. Bryan, great job! All you new photos are great. Though this may have been simple for you, I find this one to be effectively the most eerie. To see the people vanish in time creates quite a chilling effect. 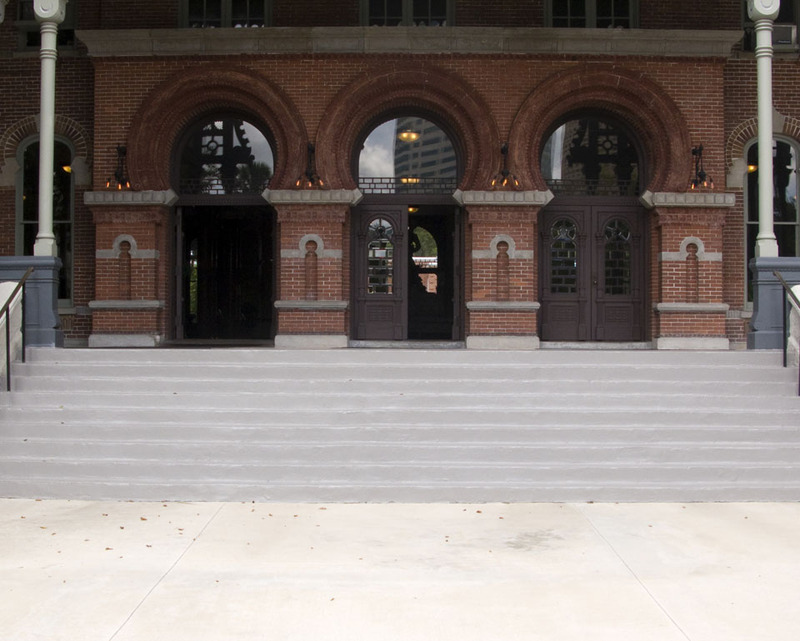 These steps have been the scene for many group photos as I’m sure you’ve seen. I used one in my series on Tampa in the 1940s; shows Gov. Carlton with Fla. State Troopers, 1932.